MIBS is a Pittsburgh Website Design Company that Develops Compelling & Effective but Practical Websites that are User-Friendly on All Devices. Through investment and relationship building, MIBS has assembled top-notch solutions for nearly any website need your organization may encounter. MIBS is a partner that empowers organizations to meet the unique needs of their visitors by creating dynamic websites with a substantial number of benefits. — LuAnn Santillo, Half-Pint Kids, Inc.
MIBS is committed to providing the absolute best website for our customers. Our websites are 100% customized to meet the unique needs of each organization. 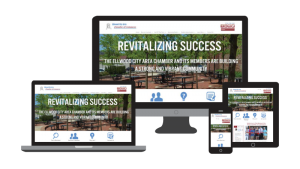 Our website designs are scalable, allowing the website to grow with your organization grows and adapt as technology changes. Regardless of the device type, size, operating system, screen resolution, browser, screen orientation or device manufacturer, a MIBS developed website will provide website users with an optimized user experience with every visit to the website. MIBS places incredible importance on creating websites that our customers can easily update and maintain without relying on costly and time-delaying third parties. Our extensive and personalized training program provides all of the necessary information in an easy to follow format using understandable terminology. Contact Us to Differentiate Yourself from Your Competition.